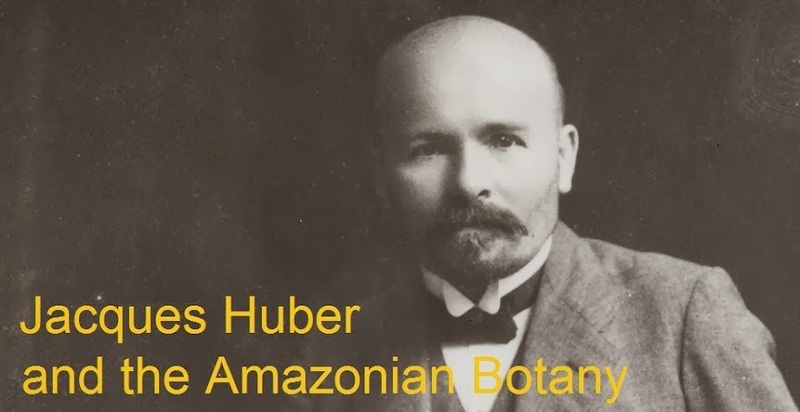 Jacques Huber (1867-1914) was a Swiss Botanist who worked at the Amazon from 1895 to 1914. He authored a major work on taxonomy, phytogeography, plant ecology and agronomy. This is the blog of a research on Huber's life and work funded by the Brazilian Ministry of Science, Technology and Innovation, Capes Foundation and supported by the Naturhistorisches Museum der Burgergemeinde Bern. You are welcome to join this blog and follow its updates as the research progresses. If you wish to know more about Jacques Huber and the history of Amazonian botany, please enter your email in the registration field. If you have contributions to make or would like to help with information, pictures or documents related to Huber, please check the contact form below. Jacques Huber and the Amazonian Botany de Nelson Sanjad é licenciado sob uma Licença Creative Commons Atribuição-NãoComercial-SemDerivados 3.0 Brasil.